Kevin began his insurance career with Ranger in 1986 and became a partner in 1988. Ranger Insurance is part of the Noraxis Capital Corporation which is one of the largest insurance brokerages in Canada. Kevin was a board member of the Insurance Brokers Association of Manitoba from 1992 to 1998, serving as President of the Association in 1997. He also served as a director with the Insurance Brokers Association of Canada in 1997 & 1998. Kevin holds a bachelor of Physical Education degree from the University of Manitoba and is a CAIB Honors graduate. He has also earned his CRM designation from the University of Toronto School of Continuing Education. Kevin has served on numerous insurance company advisory panels both at a local and national level. He has also been an active member of YPO and WPO, serving on the chapter executive boards of both organizations. Prior to starting with Ranger, Kevin played for four years in the CFL, with Montreal, Winnipeg and Calgary, winning the Grey Cup in 1984 with Winnipeg. 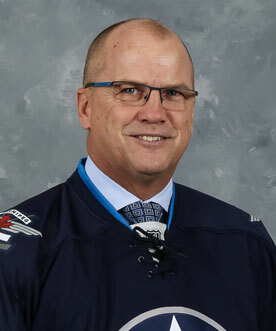 Kevin is very active in the community, serving as a board member for the True North Youth Foundation (formerly Manitoba Moose Yearling Foundation), as well as coaching and managing many community teams in the St. Vital area.